Portugal’s Ton-up Garage took their Yamaha XSR700 back to the future with a design inspired by synthetic sounds and neon dreams. 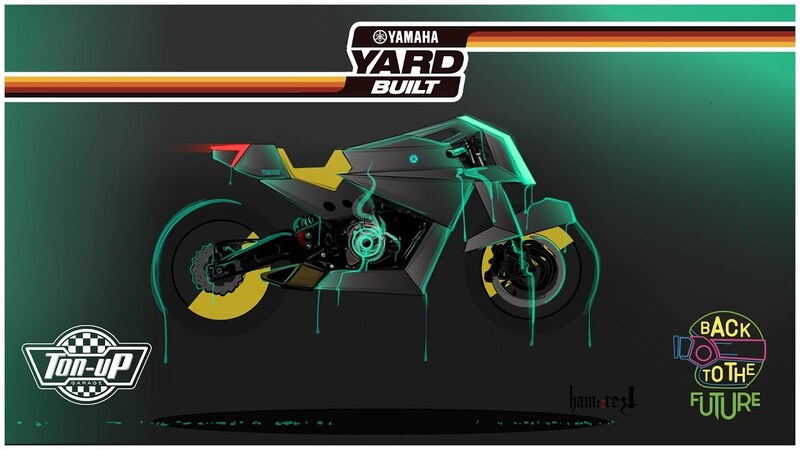 Their bike ‘Outrun’ shows just how versatile the Yamaha Sports Heritage range can be, as they transformed it from the ground up into a real slice of 80s cool. Ton-up Garage looked far and wide for their inspiration but ultimately landed on the concept of how the 80s thought the future would look; brutal, cold and sharp. For anyone familiar with the 80s arcade classic, Outrun, this design will be strikingly familiar. Neon colours and harsh lines remind us of how we saw the future not so long ago. The body is handmade by welding aluminium polygons and finished with a fresh, steel grey paint job with luminous tints. The rear-view mirrors are replaced by a rear facing camera set into the console panel, a piece of tech every 80s kid would love. Ton-up Garage hand built their own wheels and stainless steel exhaust to complete the look and feel of the bike and fitted racing slick tires. 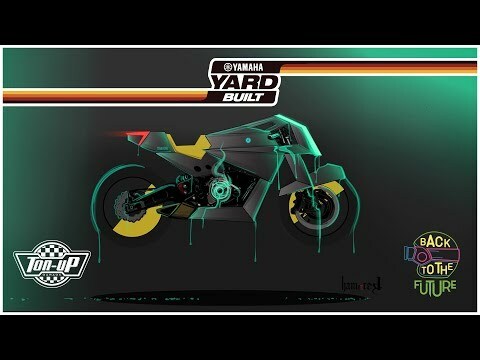 The bike made its debut at the 2018 Wheels and Waves as one of the six XSR700s part of Yamaha’s Back to the Future themed Yard Built project. Ton-up Garage’s Outrun was a real head turner and won, in its category, the historic Punk’s Peak Race.